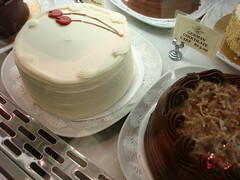 Cakespy Note: Grand Central Station is located at 42nd Street at Park Avenue in Manhattan. In terms of eateries, you'll see that we designate each spot as being located in one of three spots: the Upper Level, Grand Central Market is a Farmer's Market-esque setup, located in a corridor leading to Lexington Avenue; second, the Lower Level, Dining Corridor; third, the few miscellaneous spots sprinkled throughout the terminal are designated as being located on the Upper Level, Outer Corridors. 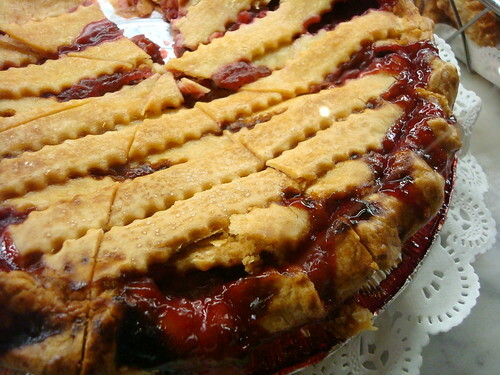 Central Market Grill: We have never tasted the sandwiches or savory fare at this deli. But then again, why should we, when we've found what need and crave, right by the register? 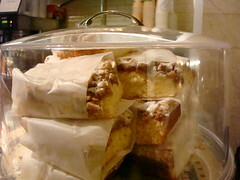 Their crumb cake alone is worth a visit: big, buttery, brown-sugary crumbs the size of walnuts (how we like it!) and gorgeous, hefty cake to anchor it. We hear they do offer other things too though. Lower Level, Dining Corridor. 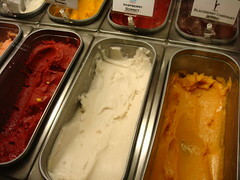 while Italian ice cream uses the same basic ingredients as American, the final product is not churned and aerated to the extent that American ice cream is; nor is it stabilized with things like gelatin, which is added to slow the melting process. The result is a more velvety ice cream of incomparable richness. And certainly Ciao Bella's rich, velvety version has rendered us believers in this Italian treat, more than willing to shell over our cash, clamoring for a fix. Lower Level, Dining Corridor; online at ciaobellagelato.com. Corrado Bread and Pastry: Nestled right by the Lexington Avenue exit, this place is worth holding out for before emerging into the city: featuring gorgeous cakes (just look at the texture of that frosting! ), crisp, crumbly cookies, and a dazzling array of breads (including the Pain D'Avignon featured in NY Magazine), it's a delight, and we've found service to be very friendly here. Upper Level, Grand Central Market. Dishes: Decisions, decisions: with two locations, one on the upper level and one on the lower level, which to choose? Upstairs, deli-style puddings and platters of creamy tiramisu reign, available by the generous scoop. 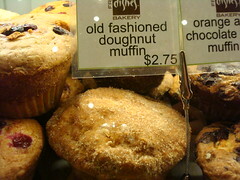 Downstairs, carbohydrates have a more prominent showing, with a tantalizing display of cookies and the object of our affections, the delectable doughnut muffin. We say go carby: the spoon-and-fork only desserts, delicious as they may be, are probably not the best choice for a commute. 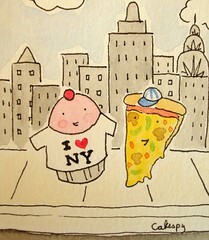 Locations both in the Upper Level Grand Central Market and the Lower Level Dining Corridor; online at dishestogo.com. Hot & Crusty: Our review for the Penn Station locations holds true here: to paraphrase, we've had touch-and-go experiences here, as some of the pastries tend to look better than they taste. Nonetheless, their crumb cakes and sprinkle-topped cookies are usually a good bet, and it is always warm and smells like sugary perfection when you walk in. Upper Level, Outer Corridors; online at hotandcrusty.com. 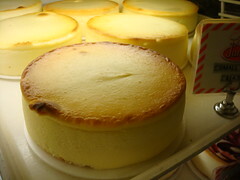 Junior's: They're the celebrated cheesecake from Brooklyn, with its trademark sponge cake layer. But really, is visiting the Grand Central location the best way to experience it? We say hold out for the flagship location on Flatbush and Dekalb in Brooklyn; while the cheesecake itself may not be life-changing, savoring it with an authentic egg cream while gazing at the photos on the wall is certainly a rich experience in itself. 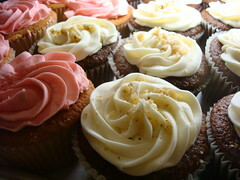 Various locations, Upper and Lower Levels; online at juniorscheesecake.com. Li-Lac: They're not Godiva, nor do they strive to be; and while this is noble, this is not the main reason we love Li-Lac. We love them for their creamy, melt-in-your-mouth non-pareils and their creamy truffles...but of course, also for their visually stunning cases full of chocolates and candies which recall small-town confection shops from a simpler era. Upper Level, Grand Central Market; online at li-lacchocolates.com. Little Pie and Co.: While we could spend a good deal of time rhapsodizing about their flaky crust, their tantalizingly golden, buttery-brown-sugary topped apple pie, we cannot ignore their equally excellent cakes, which far exceeded our expectations of what a pie-branded business might offer: moist, not too-light cake, with creamy, dreamy frosting. Lower Level, Dining Concourse; online at littlepiecompany.com. Paninoteca: As wrap sandwiches wither as a sandwich trend of bygone years, the panini is on top of the world; and while sandwiches may come and go, cannoli is forever. And Paninoteca's, while not the best we've had, is highly decent for a treat that is not easy to find in Midtown: crisp shells encasing a truly decadent puff of sweet ricotta cream. Lower Level, Dining Concourse. Zaro's Bread Basket: If a tree falls in the woods, does another Zaro's Bread Basket open? It sure seems that way based on how many of them there are between Grand Central and Penn Station. 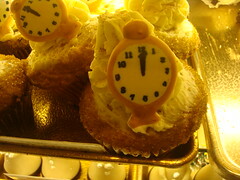 But this is a chain whose proliferation is just fine with us: their cakes are tasty, their displays are gorgeous, and they tailor to their surroundings: we love the "Grand Central" cupcakes (left). Upper Level, Grand Central Market; online at zaro.com. Did we miss your favorite Metro -North hotspot? Let us know!